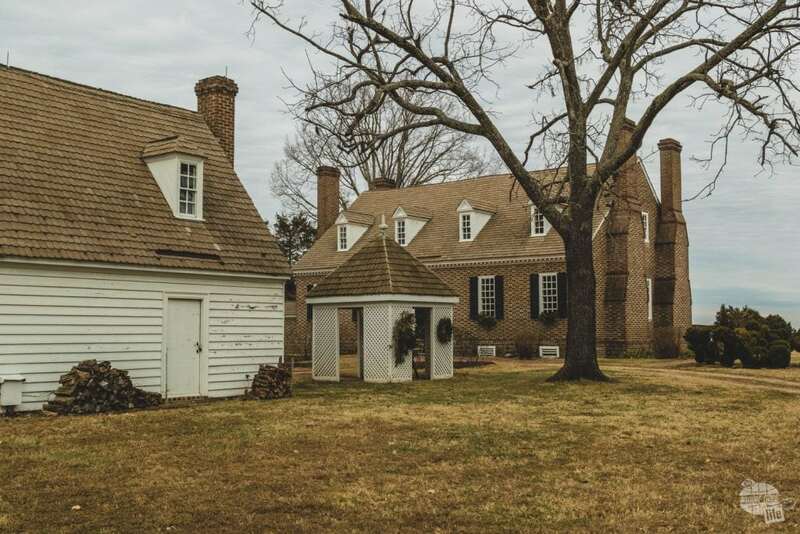 If there is one thing you simply cannot ignore about Virginia, it is the state’s history. 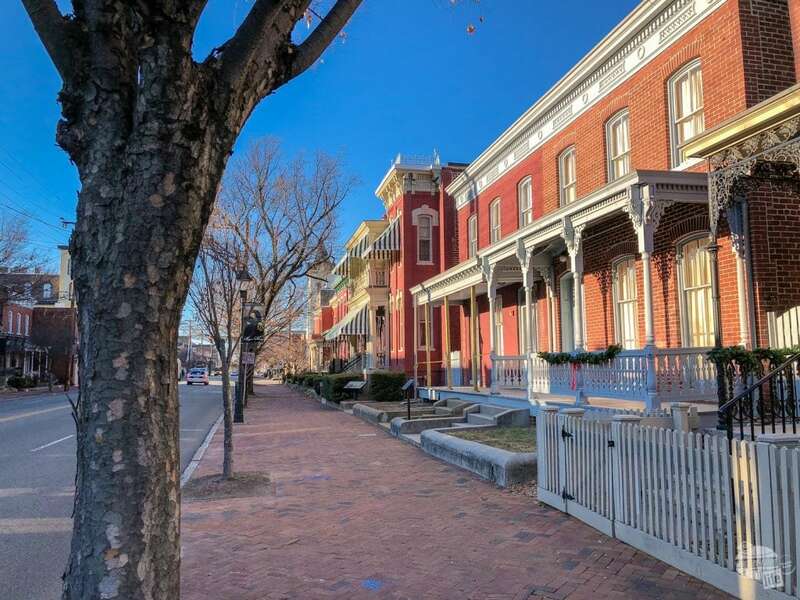 From the first permanent settlement by British colonists to the Revolutionary War to the Civil War and on into the Civil Rights Movement, Virginia is home to our collective history. 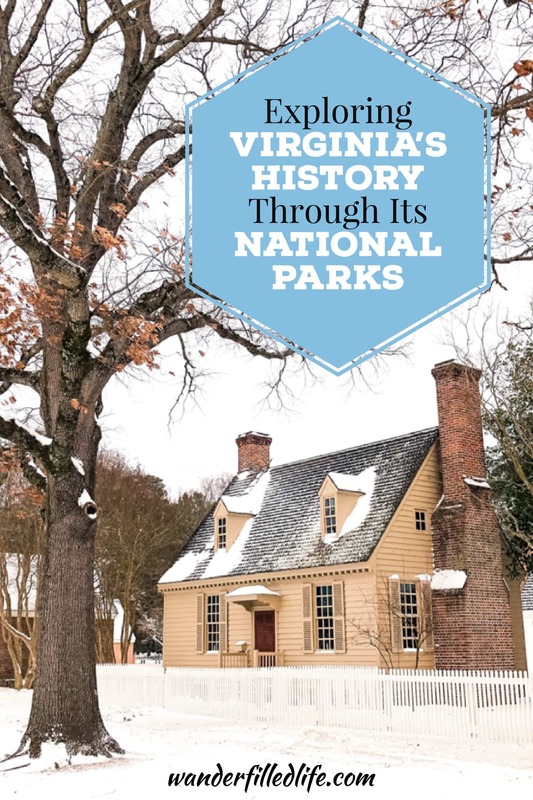 We spent several days in eastern Virginia seeing National Parks sites, including battlefields, historical parks and sites, as well as driving part of Blue Ridge Parkway. In all, we visited nine NPS sites and we still have a bunch more to go! 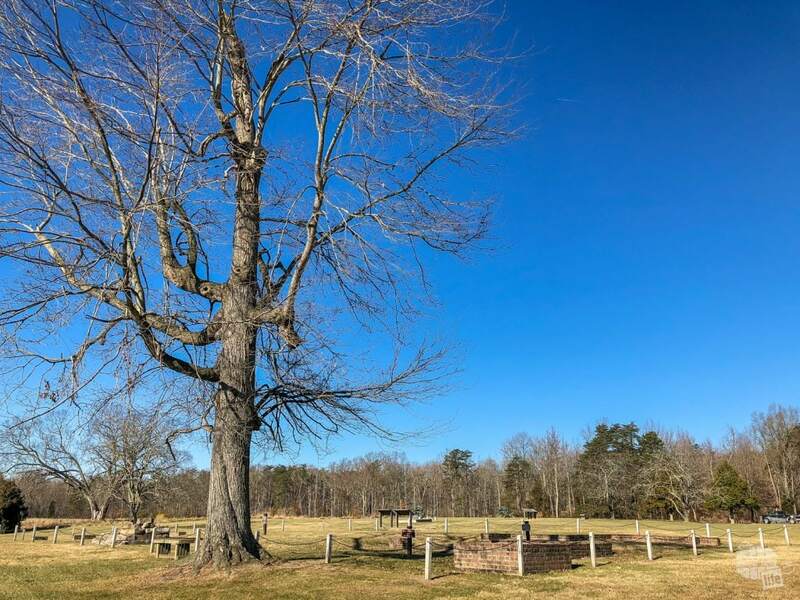 If you are remotely interested in the Civil War, the area from Fredericksburg all the way to Petersburg is full of battlefields. If colonial history is your thing, head for the coast. To really dig into US history, it’s time to head to the Tidewater region, where the first permanent British Colony was established. 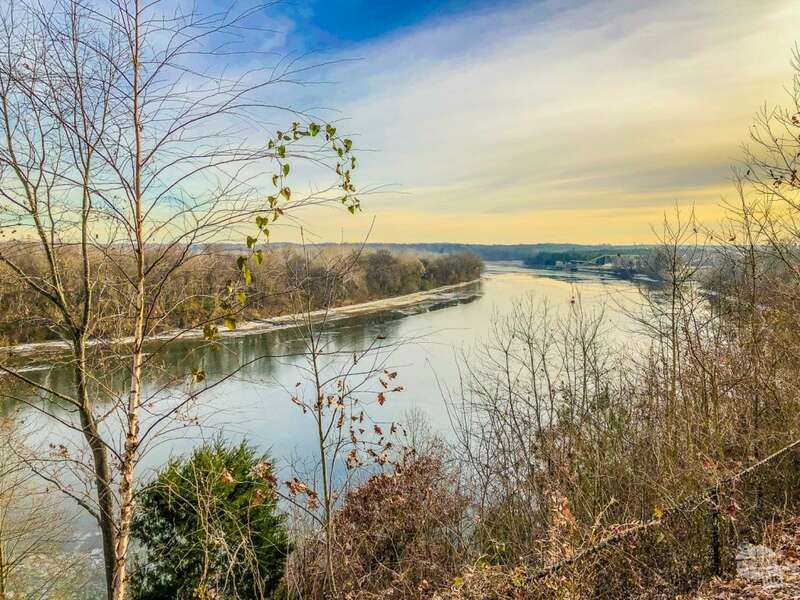 Located on Popes Creek, just off the Potomac River, this site preserves the location of George Washington’s birthplace. Washington lived on this tobacco farm until around age four and came back often in his formative years. The future president developed an abiding love for the Virginia Tidewater here. 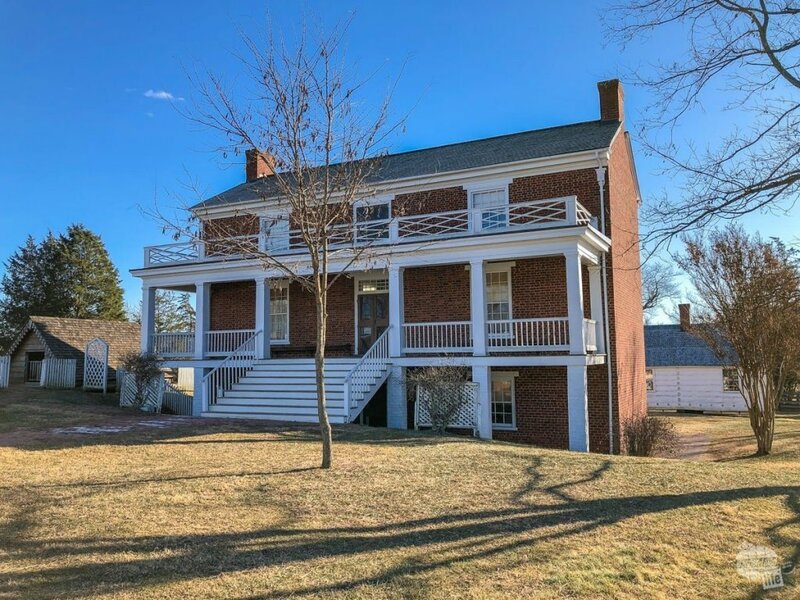 This house is not the home George Washington was born in. It is the house folks in the 1930s imagined he was born in. 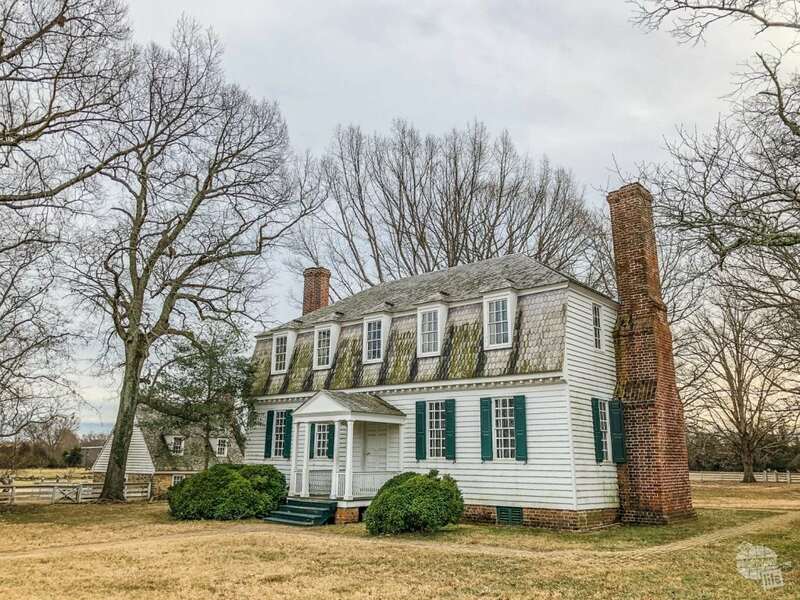 The original house was destroyed and the property fell into disrepair over the years before being donated to the state of Virginia and eventually the federal government. In 1930, the Park Service constructed the Memorial Home based upon what folks at the time thought the house should look like. Later, a Colonial Kitchen and Garden were added to what was considered a living memorial to Washington. In 1968, the park service added a Colonial Farm to demonstrate what life was like on the property. 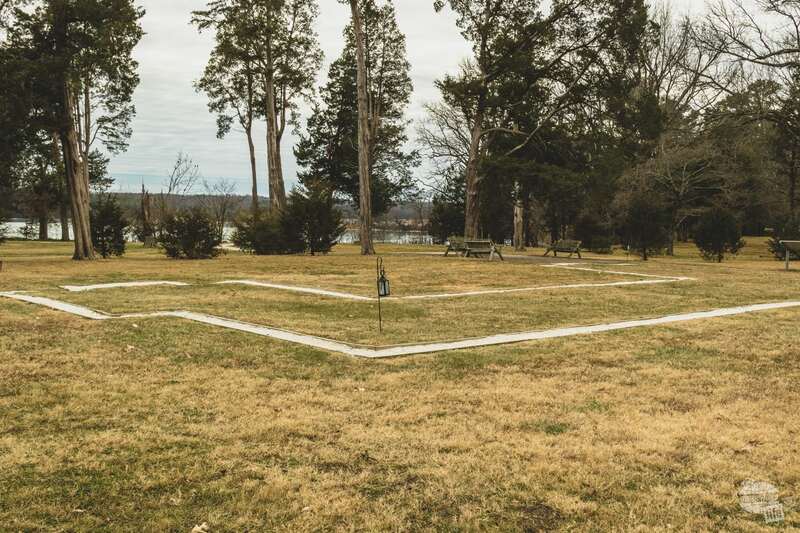 All that remains of the George Washington Birthplace home is an outline of the foundation. The foundation of the original birthplace home has been unearthed and is a few feet away from the Memorial House. What we enjoyed most about this site was that it is a working farm, complete with livestock and replicas of colonial-era farm buildings. The George Washington Birthplace National Monument is operated like a farm with livestock and crops. You can tour the Memorial House and grounds, but bear in mind it is not an authentic recreation of the original home. 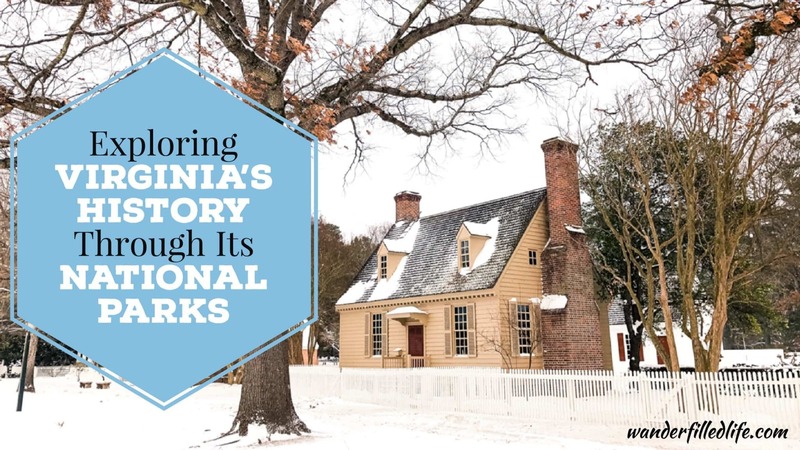 Colonial National Historical Park covers two incredibly important sites from American history: the first permanent British colony, Jamestown, and the site of the pivotal battle of the American Revolution, Yorktown. 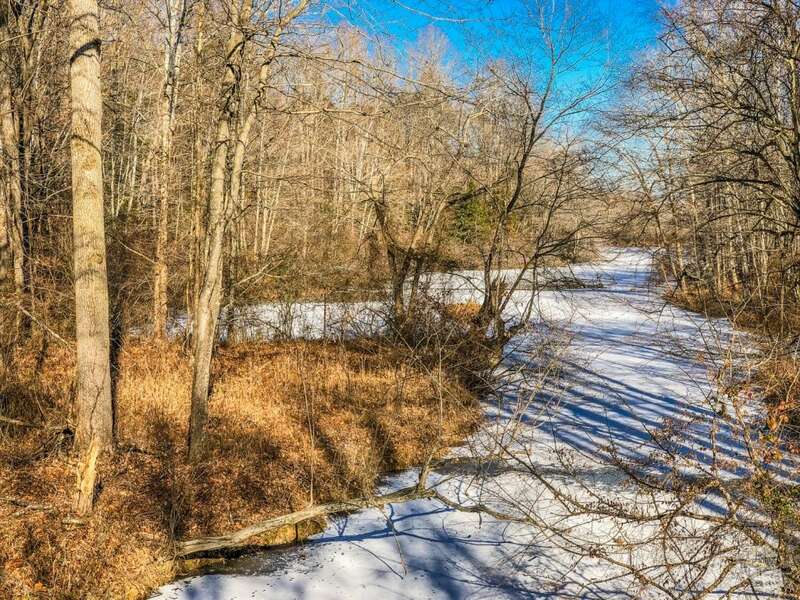 A frozen creek near where the Americans camped coming into Yorktown. 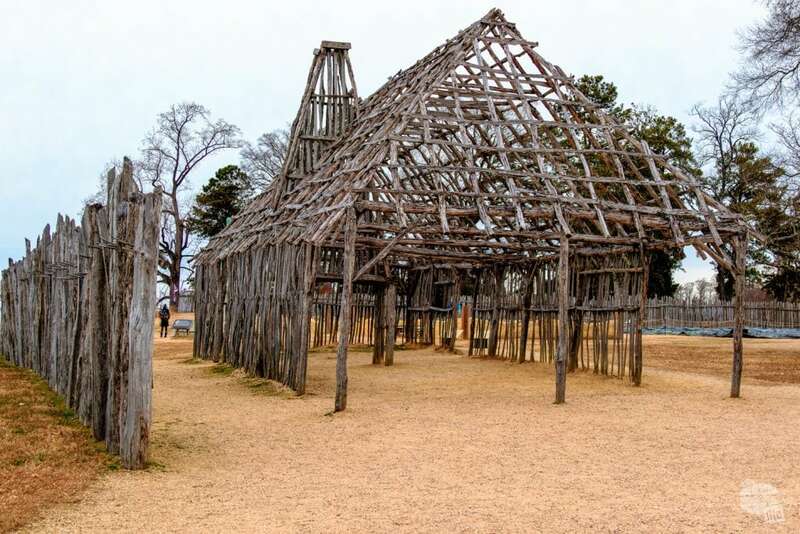 These two sites, along with the Colonial Parkway and nearby Colonial Williamsburg form the Historic Triangle. This area is a must visit for anyone interested in American history. Following the American victories at Kings Mountain and Cowpens, General Cornwallis turned north winning a Pyrrhic victory at Guilford Courthouse. In need of resupply, he eventually landed upon the port of Yorktown. There, a combined army of American Patriots and French troops laid siege to the town, eventually forcing the surrender of Cornwallis. The surrender forced the British to negotiate peace. This British fortification, Redoubt 9, was a tough nut to crack, which took 400 troops in a stealthy assault to capture. 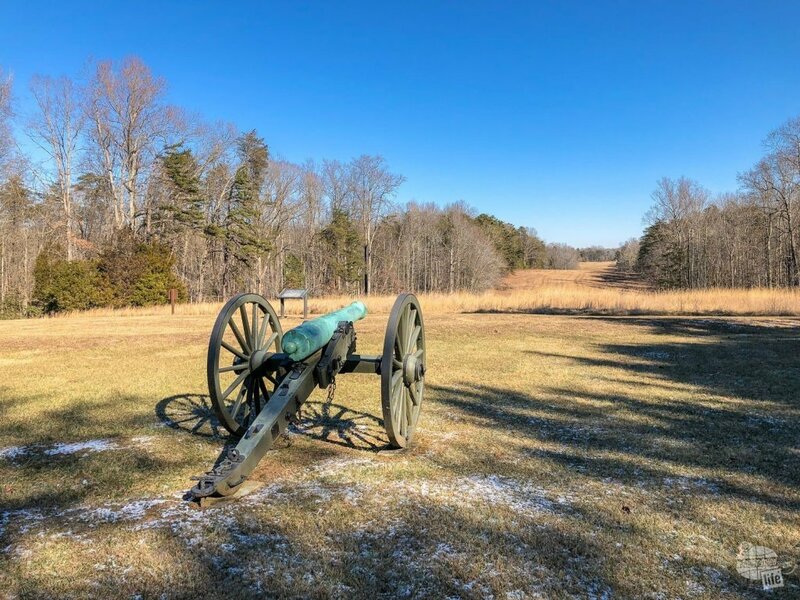 Unlike most other Revolutionary War sites we have been to, the battlefield is reasonably large and has a good driving tour, though some of it was shut down for repairs to the road when we visited. The visitor center does a great job of telling the story of the battle, so be sure to hit that first before touring the road. The are several earthworks remaining from the battle, plus the obligatory cannons placed at various points. Yorktown was the defining battle of the American Revolution and the earthworks the French and Americans built to bombard the British. The Augustine Moore House is where the surrender was negotiated and is the first house the National Park Service ever restored. The Moore House hosted the surrender negotiations for the Battle of Yorktown. Additionally, it was damaged extensively during the Civil War and became the first home the National Park Service restored. 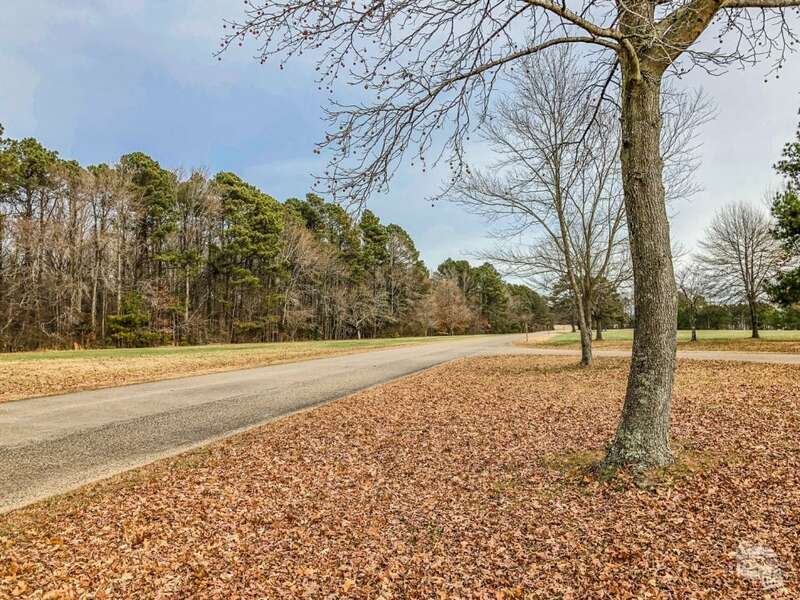 The Colonial Parkway connects Yorktown with Williamsburg and Jamestown. The drive was quite relaxing and, while the views are not as dramatic as the Blue Ridge Parkway, there is plenty of tidal Virginia to see and enjoy. The Colonial Parkway connects Yorktown with Williamsburg and Jamestown. Like the Blue Ridge Parkway, it provides a beautiful, relaxing drive between the sights. Colonial Williamsburg is a living history museum with several restored buildings highlighting the town’s time as the colonial capitol. 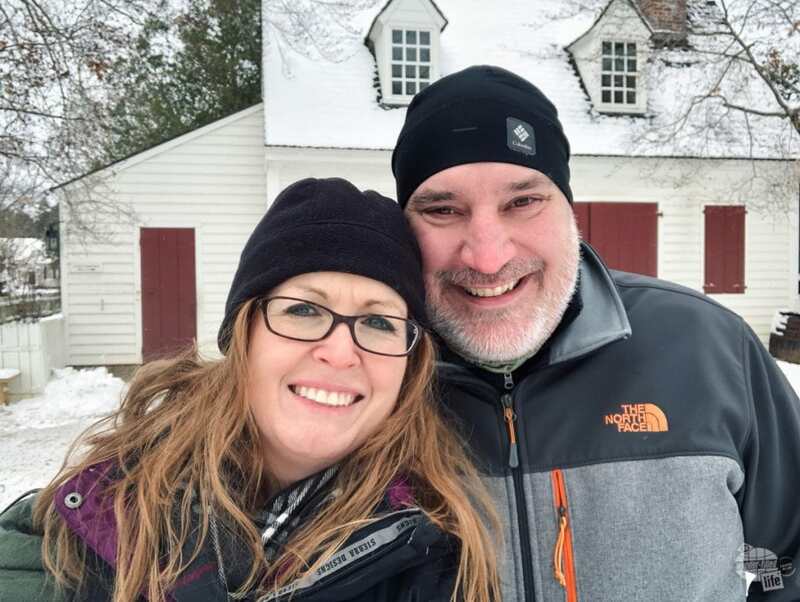 We got out into the snow and spent a little time walking around Colonial Williamsburg. It snowed pretty heavily the night before, so we did not get to visit much of the site, but we did get out and walk around in the snow. We will just have to come back! Preservation Virginia runs this site in conjunction with the National Park Service, so be prepared to pay a separate fee to see the ruins of the original settlement. Like Yorktown, there is an excellent Visitor Center which tells the story of Jamestown from multiple perspectives. Preservation Virginia reconstructed the town wall and highlighted the outlines of many of the old buildings. Beyond the ruins of the town itself is the Island Drive, a figure-eight loop encompassing Jamestown Island with several turnouts. We made a point to walk out to Black Point and, on the way back, spotted a bald eagle! 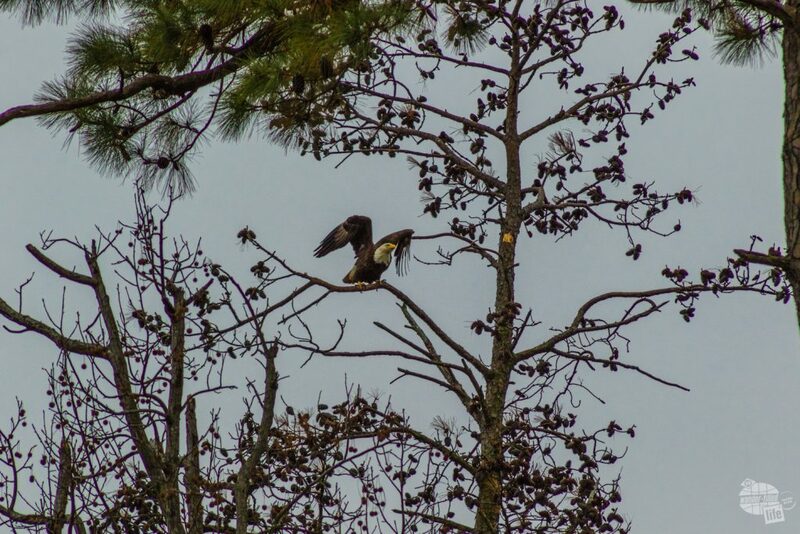 Spotted this bald eagle while driving the Island Drive. We also really enjoyed the Jamestown Glasshouse. The glasshouse produces glass pieces using the original methods used by colonial glassblowers. You can watch the glass being produced pretty much every day and it is a very interesting process to see. We have seen more intricate glassblowing done in Murano, Italy, but this was just as cool. One of the cool things to see at Jamestown is the glassblowing exhibitions. 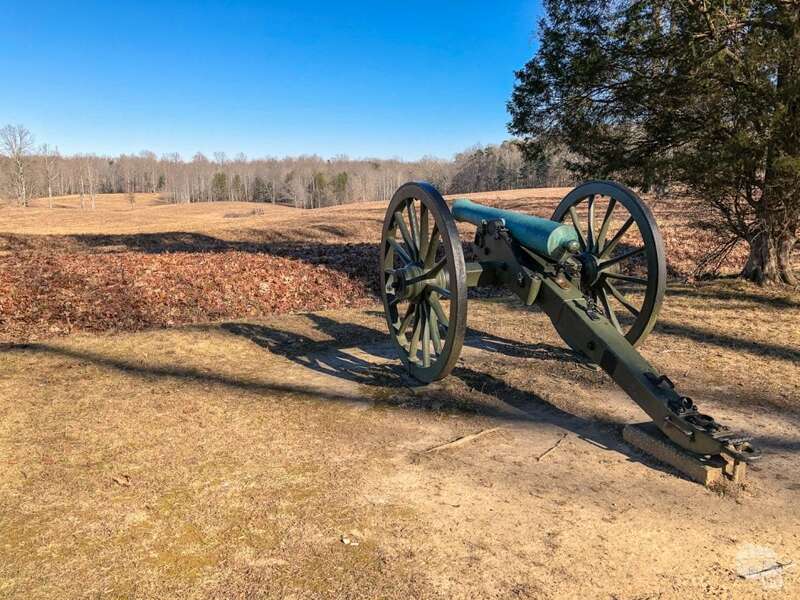 Central Virginia is full of Civil War history and battlefields. Our first Civil War site of this trip was actually four battlefields fought in three different campaigns during the war. Visiting these battlefields takes the better part of a full day, so be prepared for a bit of driving and walking to see these sites. 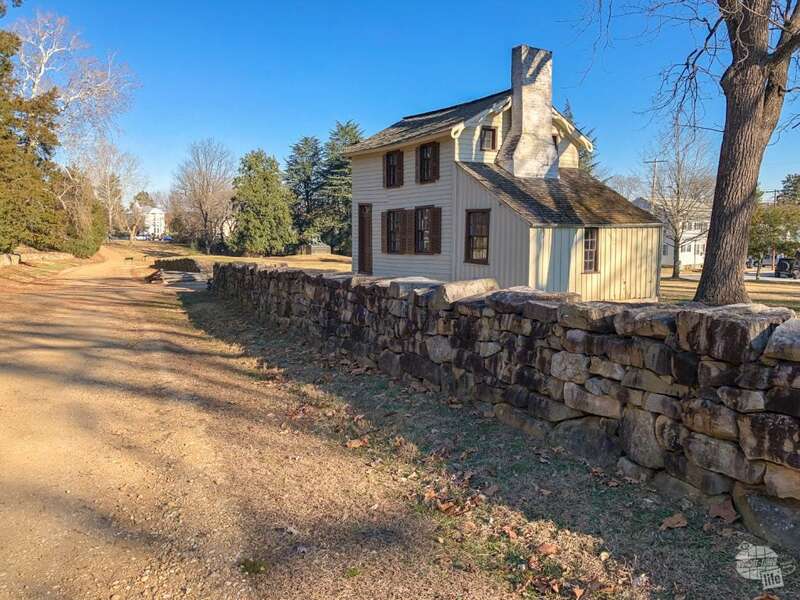 When visiting the battlefield, start with the Battle of Fredericksburg. The site has an excellent visitor’s center and explains the early campaigns well. The Sunken Road and Stone Wall at the Fredricksburg battlefield. 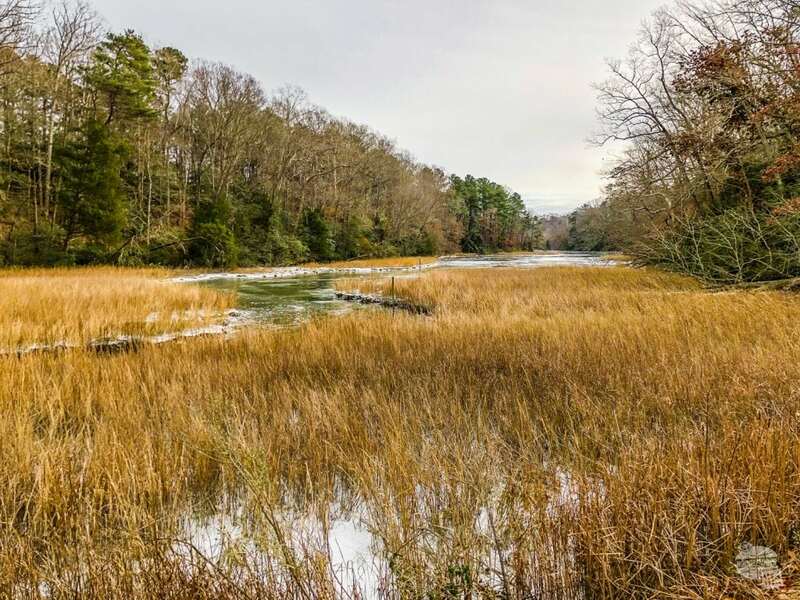 In December 1862, Union forces attempted to cross the Rappahannock River at Fredericksburg. The Confederates defended the city and surrounding heights decisively and it became one of the most one-sided battles of the war. The Battle of Chancellorsville took place about ten miles west of Fredericksburg. In early May 1863, Union forces pushed toward Richmond on two fronts: a small community called Chancellorsville and again at Fredericksburg. Chancellorsville was really just an inn run by the Chancellors at the intersection of two major roads. This is what remains of the house today, which burned during the battle. During the battle, Stonewall Jackson was able to perform a surprise attack on the Union right flank. Confederate soldiers accidentally shot Jackson and he eventually died. The battle was a brilliant victory on Lee’s part and led directly to Lee’s second invasion of the north and the Battle of Gettysburg. One of the biggest mistakes the Union made during the battle was abandoning the high ground and allowing the Confederates to place artillery there. There is another great visitor center at this battlefield with an excellent film about this particular battle. Nearly a year after Chancellorsville, President Lincoln placed Ulysses Grant in charge of the Union Army. Grant’s objective was to engage and destroy Lee’s army. He fought in the middle of an area called The Wilderness a few miles west of Chancellorsville. The armies fought in dense brush and fought to a draw. Grant pressed on. This battle marked the beginning of the Overland Campaign. Following the Battle of the Wilderness, Grant continued to place Lee on the defensive, forcing him into another fight at the community of Spotslyvania Court House. The Bloody Angle was the sight of some of the fiercest fighting of the Battle of Spotslyvania Court House. Lee won the battle, but Grant continued pushing south towards Richmond. While we enjoy visiting battlefields, but visiting four sites for three different campaigns in one day was a bit confusing. And, while battlefields provide a glimpse into history, they generally are just open fields, which can get repetitive. 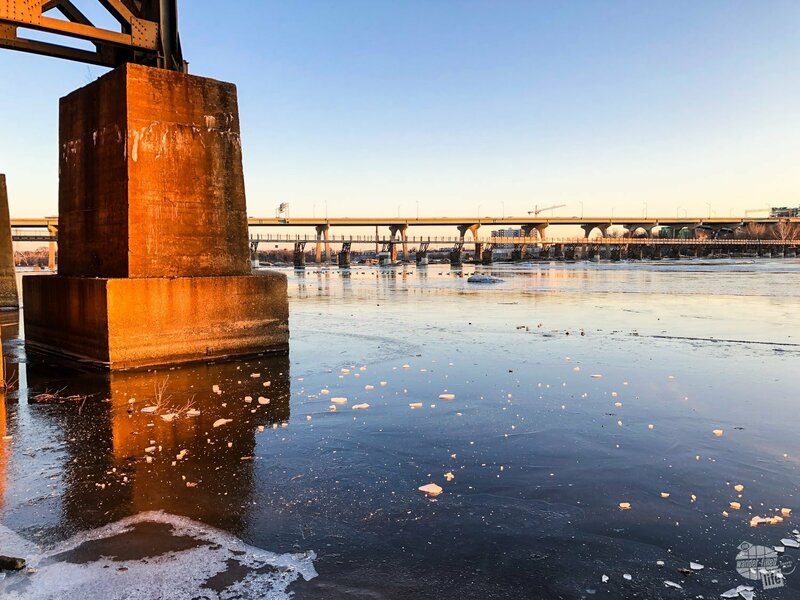 The James River at sunset. Richmond National Battlefield Park is a collection of smaller battlefields surrounding the city of Richmond. Capturing the city, the Confederate capital, was the primary objective of the Union Army. We started our visit at the Richmond National Battlefield Park Civil War Visitor Center in downtown Richmond. 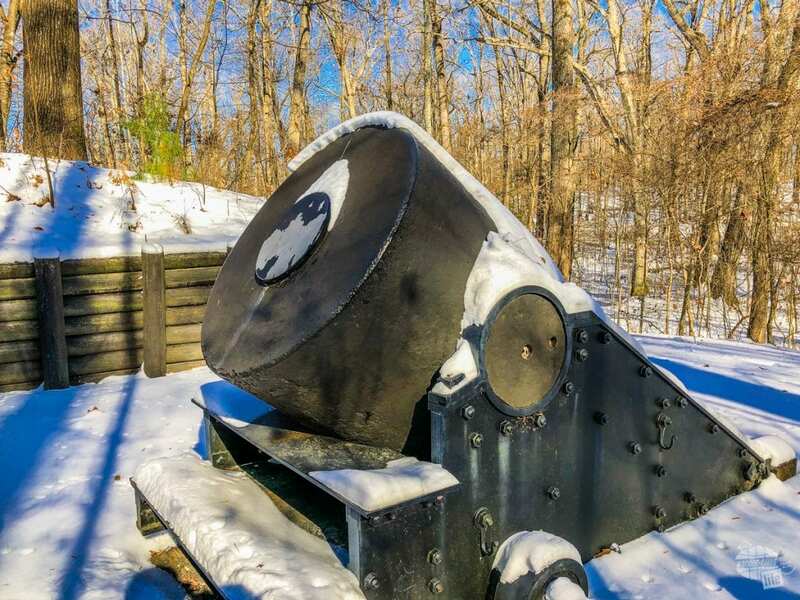 Located on the James River, at the remains of the Tredegar Iron Works site, one of the few ironworks in the South, this site is a good place to plan the rest of your visit with an interactive map room. There are battle sites from two separate campaigns, the 1862 Peninsula Campaign and the 1864 Overland Campaign. Touring the various site of the battlefield takes a day or longer depending on how long you are spending at each site. 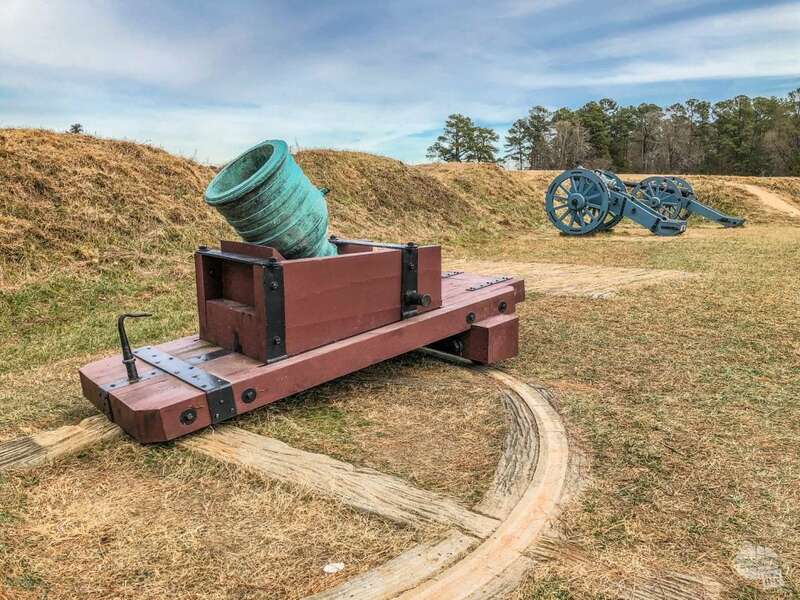 In 1862, cannons at Drewry’s Bluff controlled the James River and prevented Union ironclads from shelling Richmond. Malvern Hill was the last of the Seven Days Battles, ending the Peninsula Campaign and securing Richmond from Union attack. 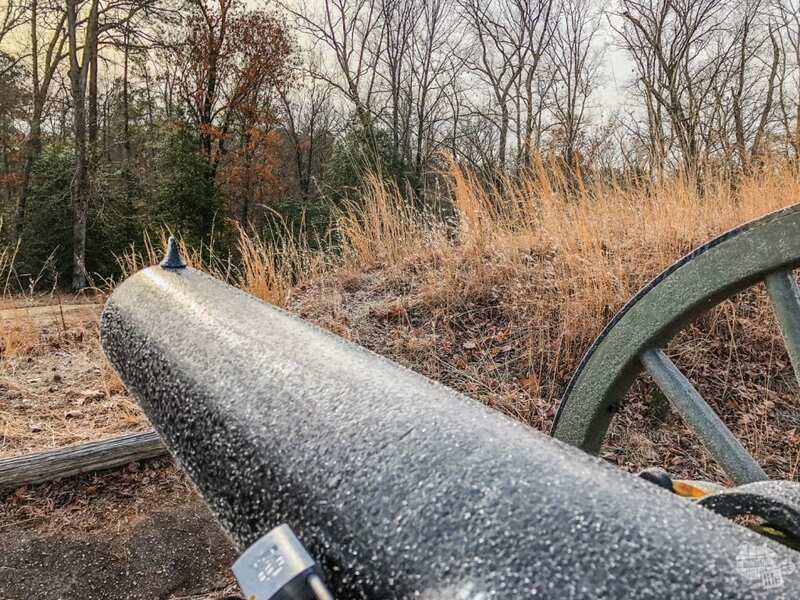 Frost adorns the cannons at Fort Harrison outside Richmond. Fort Harrison served as one of the defensive fortifications of Richmond. The fort fell into Union hands late in 1864. Fast forward two years to the days following the Battle of Spotslyvania Court House, Lee cut off Grant from attacking Richmond at the Battle of Cold Harbor. 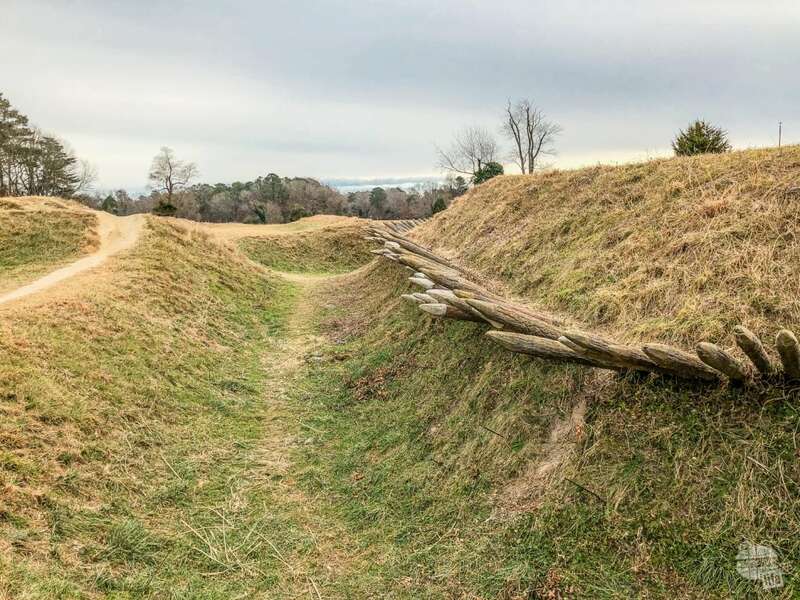 In the following days, Grant attacked at the southern end of Richmond’s fortifications at Fort Harrison, cutting off Lee from defending Petersburg. The Siege of Petersburg was the death knell of the Confederacy. Petersburg was the supply center for Richmond. Grant besieged the city for nine months and used superior numbers to force Lee to defend both Petersburg and Richmond at the same time. Bonnie on the trail at Petersburg NB. After the Battle of Five Forks, the Confederates could no longer defend Richmond or Petersburg and Lee headed west to try to meet other forces at Lynchburg. Touring Petersburg is fairly easy and can be easily accomplished in a day by driving the battle road. Be sure to start at the Eastern Front Visitor Center and walk out to see the Dictator, a massive mortar used during the siege. Following the Battle of Five Forks, Lee raced to make it to Lynchburg, but Union cavalry destroyed his supplies and cut him off. 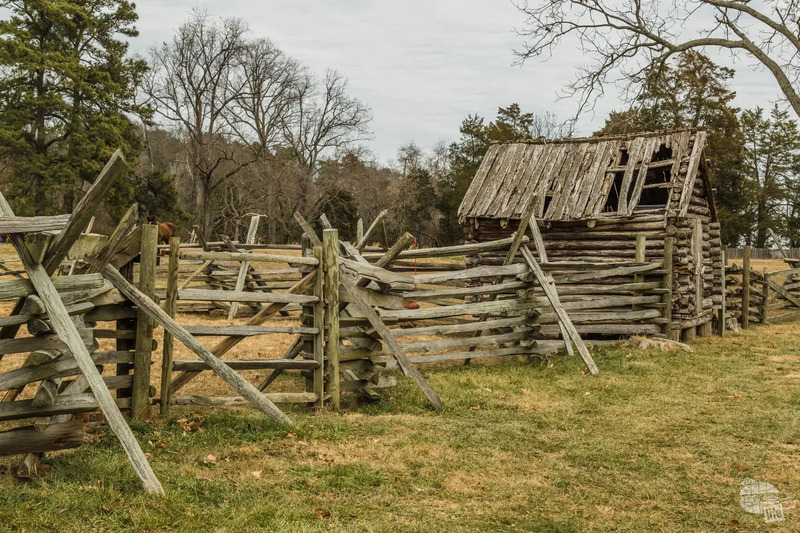 After a brief battle, Lee surrendered at the community of Appomattox Courthouse. 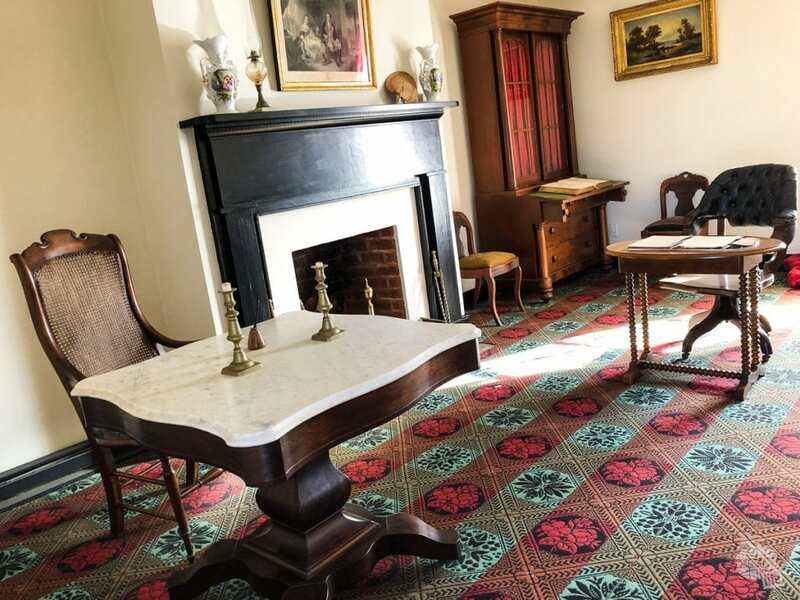 When talking about Lee’s surrender at Appomattox Court House, most folks wrongly assume it took place in the courthouse, but rather it occurred in the community of Appomattox Court House in the parlor of this, the McLean house. Growing up, I always thought the surrender was in an actual courthouse. It was actually in the parlor of a man who had moved there following the First Battle of Manassas to get away from the fighting. It was in this parlor where Robert E. Lee surrendered to Ulysses S. Grant. What we enjoyed most about Appomattox Court House NHP is how well the NPS restored the community. 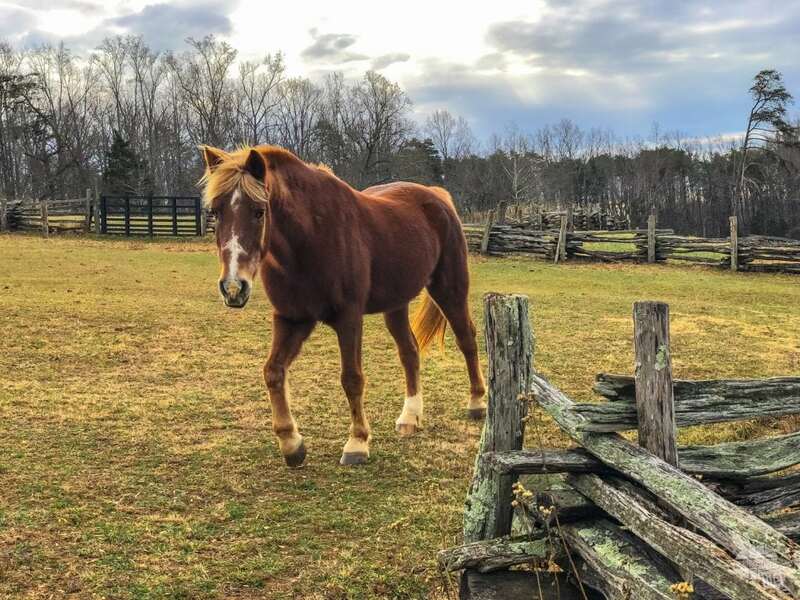 It is a great way to see what rural life in Virginia was like. 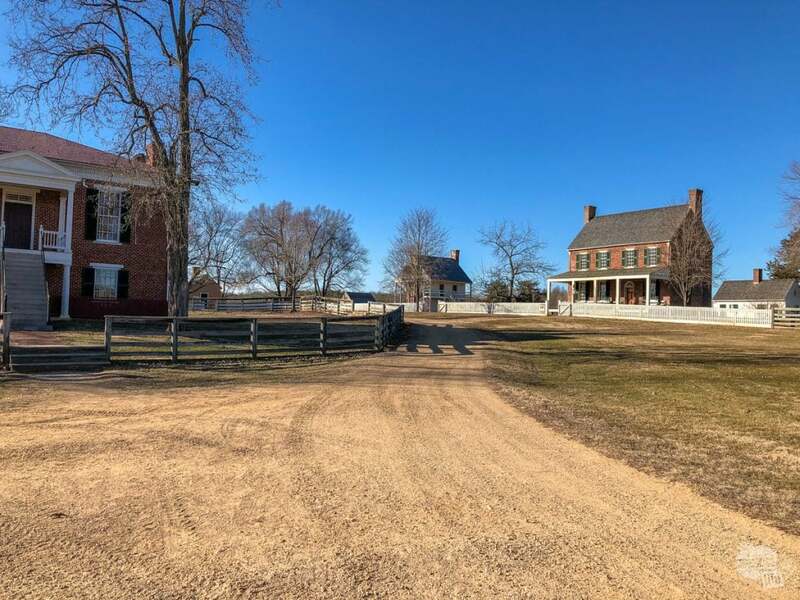 The community of Appomattox Court House, with the courthouse on the left. Plan on spending several hours, if the weather is nice, to see the community and to tour the McLean House, where the surrender took place. 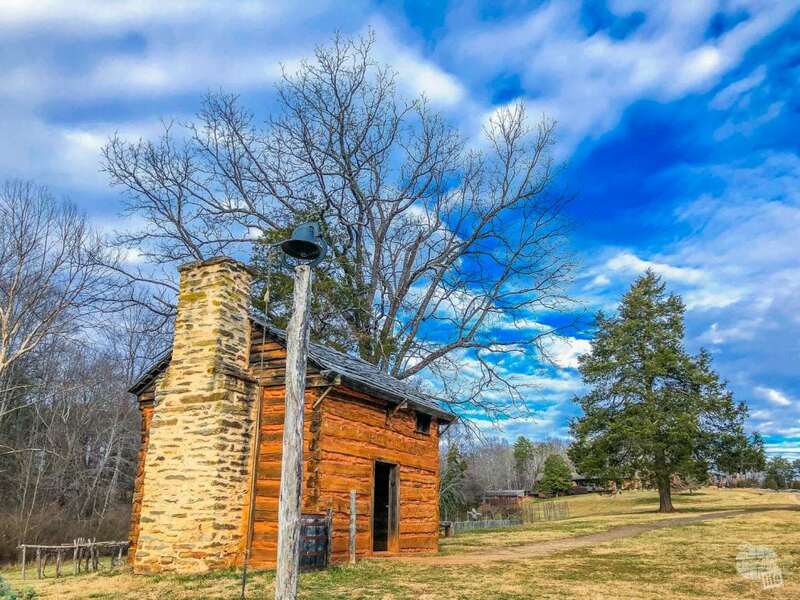 The cabin where Booker T. Washington was born on a tobacco plantation in western Virginia. Booker T. Washington National Monument, near Roanoke, preserves the tobacco farm he was born on, as a slave. The site tells the story of a man who overcame a tremendous amount to become an influence on us all. After becoming a teacher, Washington helped start the Tuskegee Institute in Tuskegee, AL. The National Park Service preserves several of the buildings of the plantation and operates it as a working farm. Horse at the Booker T. Washington National Monument. Despite the cold, we enjoyed walking the farm and seeing the various restored buildings and animals. Still, unless there was a major ranger program, you shouldn’t need more than an hour or two to enjoy this site. Since we were headed north and it wasn’t out of the way, we drove the Blue Ridge Parkway north from the Booker T. Washington NM all the way up to Mile 0. We have driven parts of the Blue Ridge Parkway before and are looking forward to doing the entire parkway in one trip. 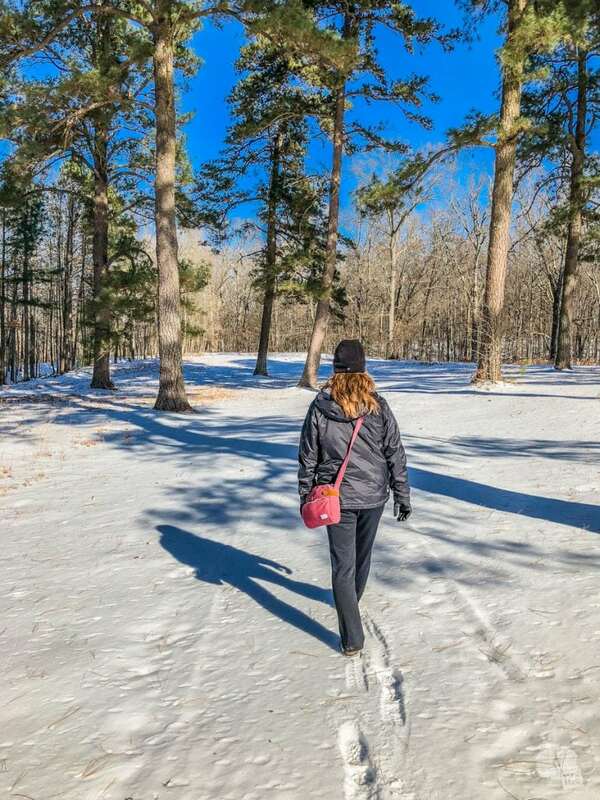 While the parkway was open to traffic, not much else was open in the winter. None of the visitor centers and only one bathroom from Peaks of Otter to Humpback Rocks were open. 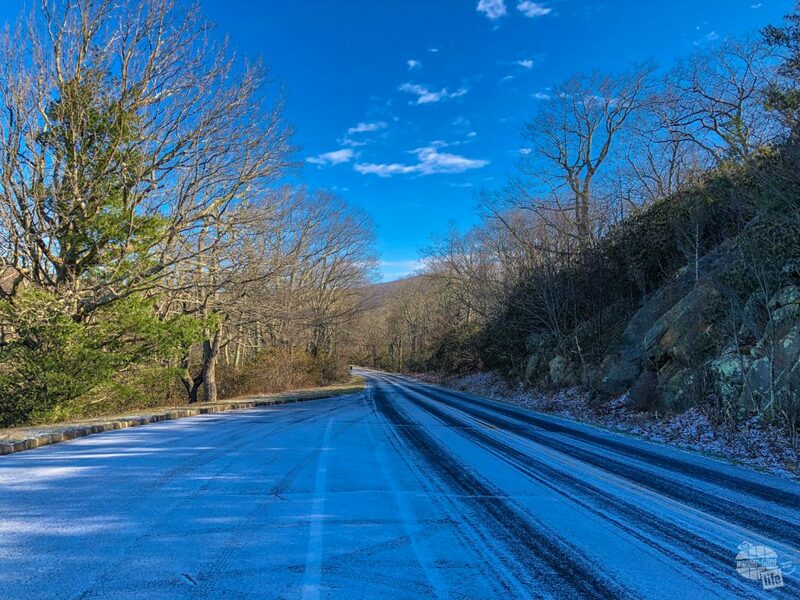 Just a dusting of snow on the Blue Ridge Parkway north of Roanoke. Still, we couldn’t beat the scenery and the drive was a lot more relaxing than the Interstate. We enjoy seeing places we have only read about, walking battlefields and seeing natural beauty. But we really love learning something completely new. That’s exactly what we found at the Maggie L. Walker National Historic Site in the historic Jackson Ward of Richmond. Walker’s home (with the striped awnings) is located on Leigh Street in the heart of the Jackson Ward district in Richmond. Before visiting this site, I had never heard of Walker. She, as a black woman in the Jim Crow South, chartered a bank. As part of the Order of St. Luke, she founded the St. Luke Penny Savings Bank, which later became the Consolidated Bank and Trust. The site tells her story and preserves her home, where she was a force for both black and women’s rights until her death in 1934. Plan on spending about two hours. 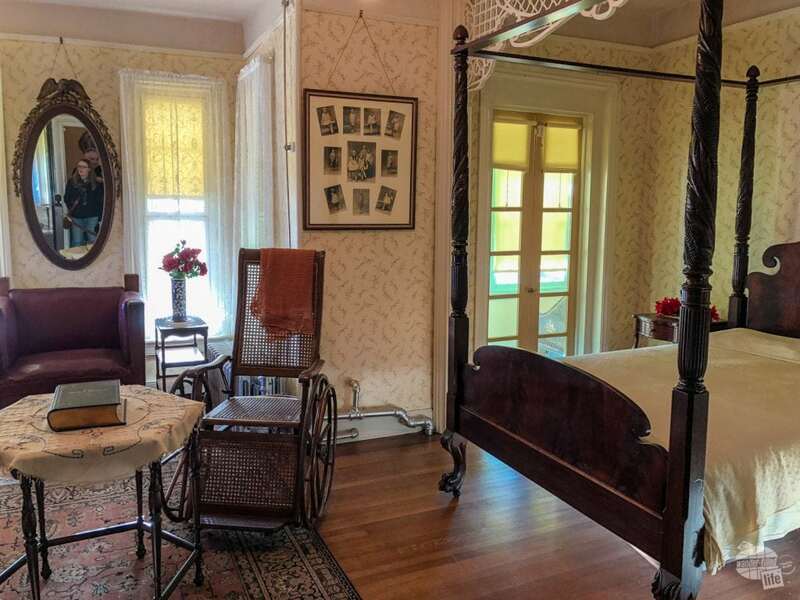 Walker’s bedroom, including the wheelchair she used after diabetes crippled her. We really enjoyed touring eastern Virginia, even though it felt very heavy on Civil War battlefields. 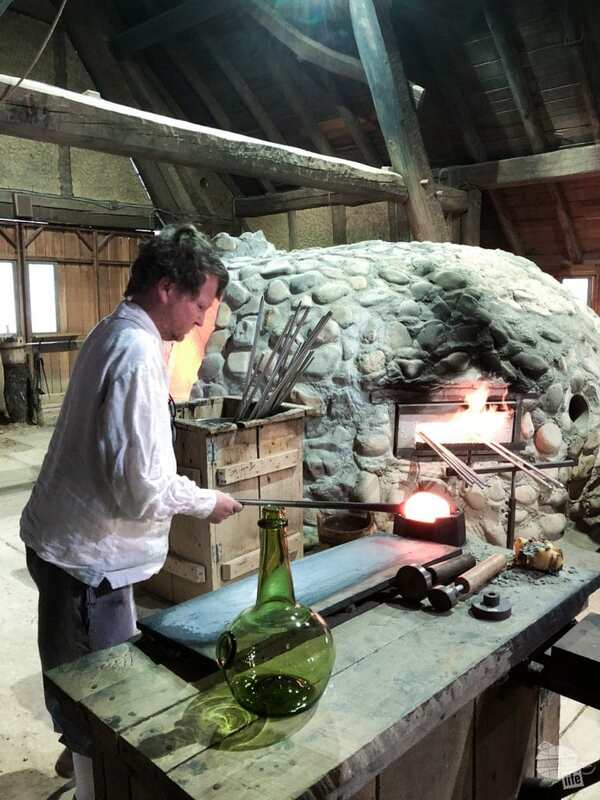 The other sites, such as glass-blowing at Jamestown and farm at Booker T. Washington NM, help to offset the somewhat redundant feeling of the battlefields. All of these sites are within an easy drive of each other. This makes visiting several sites on one trip easy. Still, this covers only nine of the 17 NPS sites in Virginia. 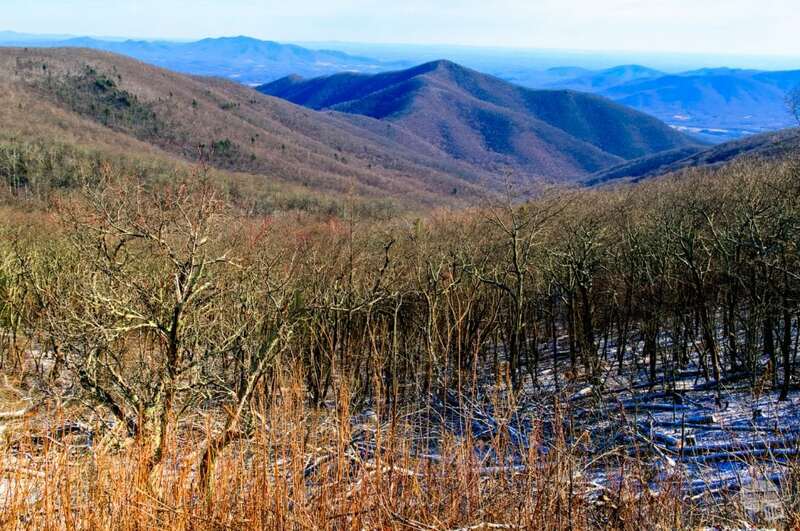 So, we’ll be headed back to Virginia at some point to see more sites, including Shenandoah National Park!